This feature is the first in what will become a series on Permanent Style, in which we analyse the seasonal offerings of all the top menswear brands, and pick out our favourite ten pieces. As ever on Permanent Style, there is nothing commercial about the Top 10. No one can pay to be featured, there is no other way to be placed on the list, to feature a particular product, or to be considered in the first place. It’s sad that we have to state that, but given the situation with online content today, I think we do. The first installment is a list of our Top 10 clothing pieces for Summer this year. It is just clothing - no shoes, hats or sunglasses. In compiling the list, we visited over 30 stores in London, and considered online offerings from anyone that shipped to the UK. We placed particular value on those things Permanent Style readers have come to value highest: long-lasting style, quality, and value for money. But we also threw our net wide, considering both designer brands (Zegna, Canali, Tom Ford etc) and high-street names (Hackett, Aquascutum, Jaeger etc) in order to highlight things that make up for in originality or value (designers and high street, respectively), what they might perhaps lack in value or quality. The fact that most of the winners are not from these brands only highlights how well our favourites are doing on all three counts. Of those brands, two stood out in particular: Drake’s and Private White VC. Drake’s has now emerged as a full-look retailer, offering everything from coats to knitwear, and doing most of it very well. They therefore had strong contenders in many areas. Private White is similar, but particularly stands out for the range of its product - every coat for every occasion, in every material. Having your own factory helps there. Private White are also good at curating partner brands - like Inis Meain, Bennett Winch, John Smedley - and picking pieces that suit the PWVC aesthetic. A surprise winner was Jigsaw, whose menswear collection is not that well known, but is worth a look, particularly for basics. We found solid versions of many modern-menswear staples (knitted blazers, capri-collar shirts, denim jackets and henleys) at very good prices. And finally a word should be said for Sunspel, whom we consistently rate but were unlucky to miss out in a few areas (shorts, lightweight jackets), pipped by perhaps more specialist brands. Summer knitwear is an interesting and practical category. 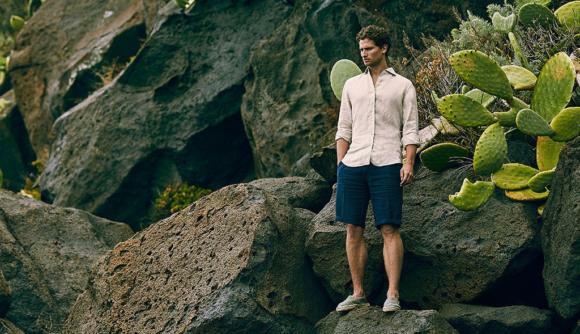 Interesting because it involves adapting standard menswear designs to new fibres - such as linen and cotton - and practical because it is a way to dress up shorts in the summer without overheating. 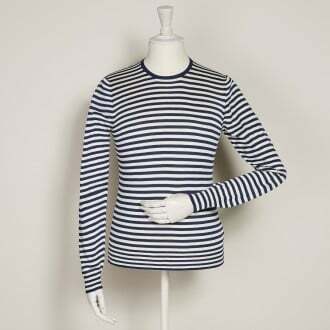 It’s unusual for such pieces to be made in silk, but this Breton-style striped sweater from Anderson & Sheppard is beautiful, has no silky sheen, and doesn’t lose its shape as cotton and linen are wont to do. I bought one last year and have worn it regularly - particularly with shorts in the summer. The Haberdashery also does cotton versions (in a greater number of patterns). If you like unusual materials for summer knits/T-shirts, also check out the paper (yes, paper) shirt (£175) from Kaptain Sunshine on No Man Walks Alone. 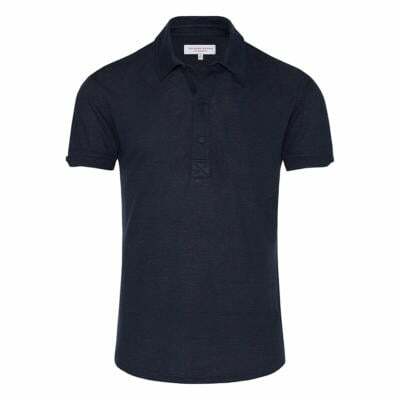 The material is both comfortable and gives the shirt a unique stiffness to the way it drapes. RRL is a great but often overlooked option for knitwear. One nice aspect of their summer pieces is that the cotton is often tightly knitted - in common with the vintage pieces that inspire it - and this stops it being loose and shapeless. This shawl-collar style was our favourite of the heavier cotton knitwear we tried, for its subtle blue melange, slightly slim cut, and double buttons to roll up and fasten the neck. Private White’s pieces from Inis Meain also deserve a mention here, particularly the ‘sunray’ sweater in navy (£195), which has a beautiful knit detail along each shoulder. PWVC consistently pick out the best pieces from the artisan Irish knitter. As mentioned earlier, Jigsaw offers some well-made versions of several menswear standards. 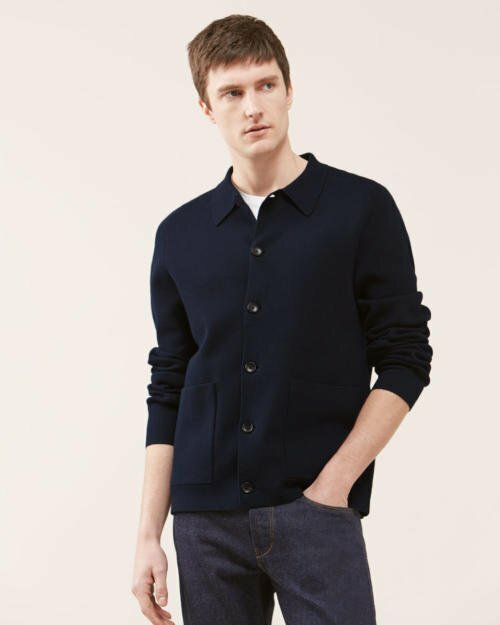 The most useful knitted piece is its Milano blazer - a piece of knitted merino cut like a single-breasted jacket. Several other brands have versions, and they are great for the guy who wants something dressier than a sweater but just as comfortable. More summery, however, is the brand’s ‘trucker’ jacket, which is cut like a shirt with a short collar, and (unusually) a raglan sleeve. It is also in cotton rather than wool. 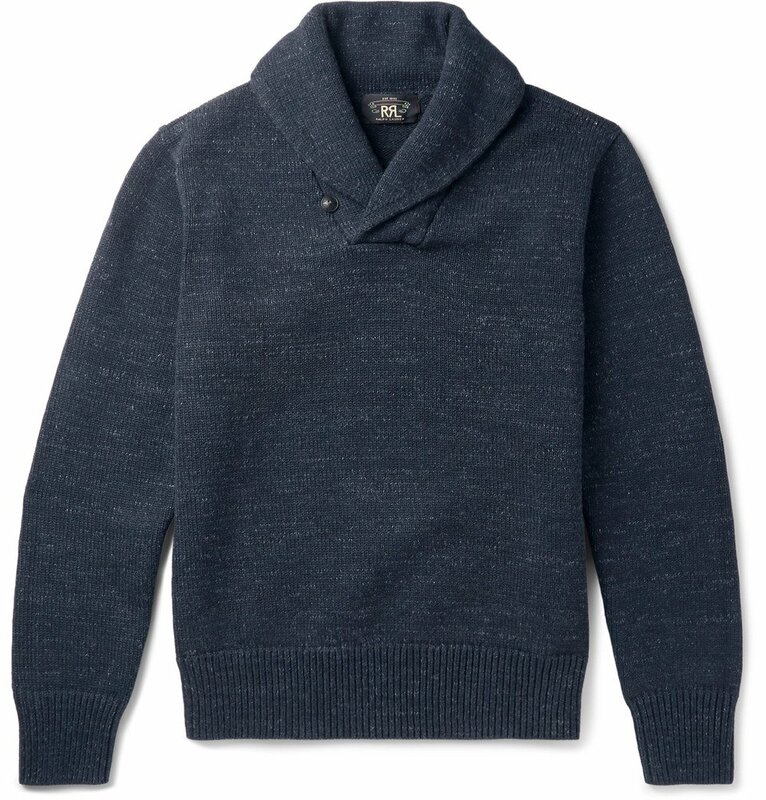 On our travels around Mayfair we also liked the simple cotton knitwear at Dunhill (£150). 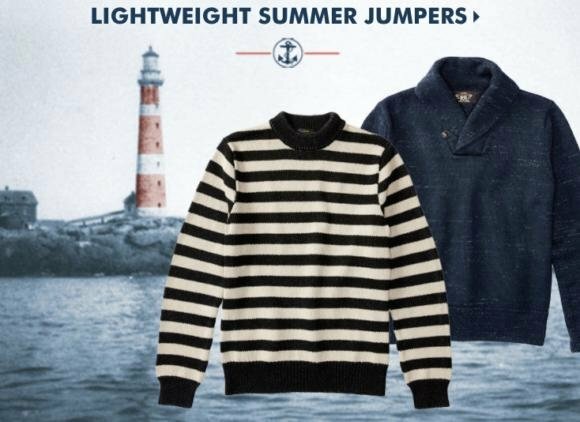 There is a range of crewnecks in a sweatshirt style, nicely fitted, in a lovely fine cotton. Bottle-green, navy and grey. 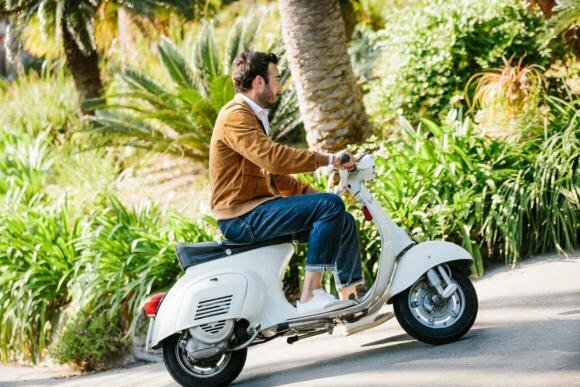 Drake’s trousers have become a staple in recent seasons, and the availability of both linen formal trousers and garment-dyed linen/cotton ones this summer really sets them apart. The more formal ones (also part of suits) have side tabs, which the cotton/linen chinos have belt loops. Both have unfinished bottoms to be taken up to length by the store. Quite a high rise, quite narrow in the thigh. My personal favourite is the blue cotton/linen. A strong runner up for trousers was Thom Sweeney, which has a few pairs in lovely muted colours. 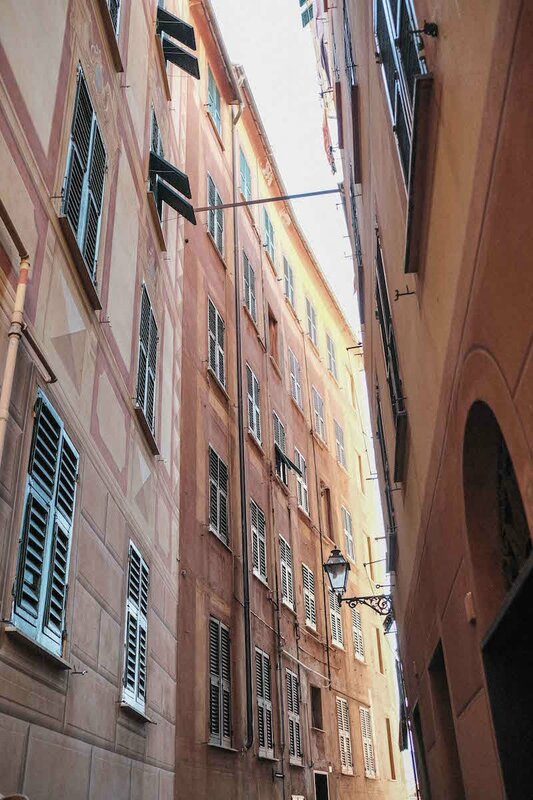 Flat fronted, sharply tapered. Also one cream pair in a slightly wider leg and double pleats. Rather more expensive though (£395). Zanone (part of the Slowear group) does great summer polos in what it calls its ‘ice cotton’. I’ve worn them for the past two years, and they are incredibly lightweight and cool - indeed sometimes actually cold, if you make the mistake of wearing them for extra warmth on a cool evening. Available at Trunk Clothiers in the collared style I prefer (in blue, green and white), as well as in the Slowear store on Marylebone High Street in a button-through style. Also worth a mention in super-lightweight knitwear is the linen pieces from Massimo Alba. 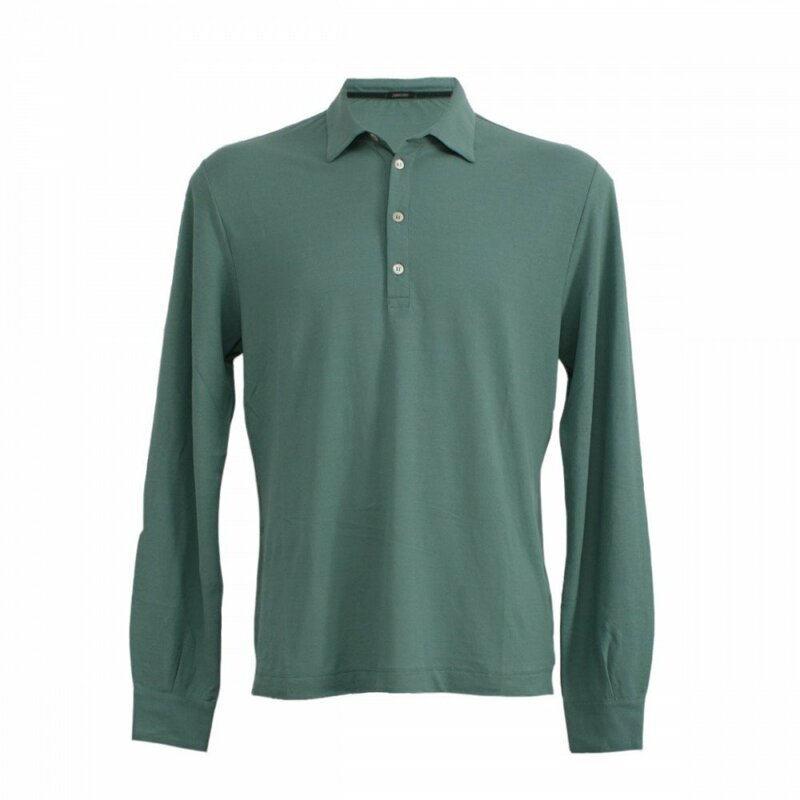 The range on Mr Porter includes linen/silk sweaters and my personal favourite, a linen grandad-collar long-sleeve T-shirt. Much as I love our Friday Polos, I constantly try other brands’ versions. I’ve worn Orlebar Brown ones for years, and still wear them consistently for more casual occasions (eg beach) or plain sport (tennis). This season they have linen versions, in navy and cream, which are lightweight and have a nice slubby texture - but aren’t transparent at all. I rather like the long-sleeved navy, often with the cuffs pushed back. Elsewhere for linen, if you want a casual summer shirt then I’d recommend Luca Faloni’s range. As with his cashmere knitwear, they are well made and have a great range of colours. The Forte collection (£115) is shorter and designed to only be worn untucked. Everyone does a field jacket these days. You can see the logic: it’s lightweight, a classic style, and has enough pockets to accommodate everything a tailored man normally carries with him. We tried many different versions on our trip, from Private White, Thom Sweeney, Drake’s and others. But our favourite was the Armoury version, made for them by Ascot Chang. It’s very simple, with no drawstrings or lining, but has the nice stylistic details of a centre-back pleat and buttoned tabs at the waist. The linen is also fantastically stiff, which is what you need for such a jacket to retain any shape. In tobacco and navy. A related theme is linen overshirts, which again everyone has. These are fantastically useful in warm weather, either over a shirt or a T-shirt. Both Drake’s and Thom Sweeney versions are great. The latter has a slightly finer make, and a higher price (£235 rather than £155). They both come in the same colours (navy and green) and benefit from having two chest pockets but no hip pockets (something I should have done with my Budd bespoke overshirt). When it comes to more casual summer jackets, it’s hard to argue with the range at Private White. The Ventile Harrington jackets come in seven different colours; the motorcycle Rain Rider style comes in suede, ventile and nylon; and there’s a moleskin bomber which is surprisingly summery and lightweight. All have nice little details like hidden ribbed cuffs, as well as the lovely and distinctive copper hardware. 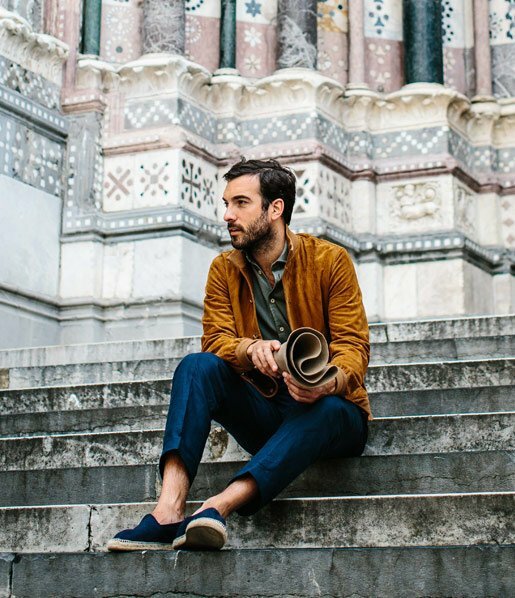 The alternative - and probably more suited to the classically dressed reader - is the Valstar jacket in suede, with its button front and blouson shape. 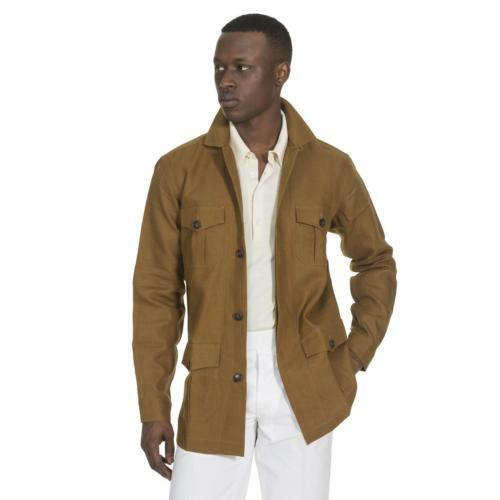 Fenwick’s has olive and sand colours, while Drake’s has it in tan (£745). Worthy of mention in this list of summer jackets in the ‘Duffle Corto’ work jacket offered by Oscar Udeshi. Inspired by a vintage piece, this is an unstructured jacket with a shawl collar, tabbed closure across four buttons (one at the throat) and patch pockets. The breast pocket has a nice ‘barchetta’ curve. 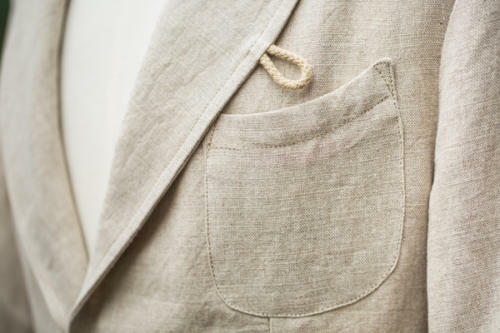 Some of the styles are too flashy for me, but the natural linen (pictured) is beautiful. It can also be altered and made to measure in-house (as with most of Udeshi’s offerings). I’ve always found shorts a difficult category, largely because modern versions tend to be low in the rise and almost comically narrow in the thigh. We tried several brands on our tour and decided to recommend a few, with the styles largely varying in terms of length of leg, width of leg, and formal/informal style. Ralph Lauren has the greatest range of styles and should be recommended purely on that basis. Across Polo and Purple Label there are some classic fits in washed styles, and more unusual styles/fibres, such as the Purple Label silk options. Sunspel has a solid option, though slightly longer in the leg than I prefer (it is on the knee rather than just above it). Rubinacci’s gurhka-style shorts are nice, if expensive (as are Eidos ones, though they come up very small). And again, Jigsaw is worth a look for a solid, basic option. You can follow the discussion on Our Summer Top 10 by entering your email address in the box below. You will then receive an email every time a new comment is added. These will also contain a link to a page where you can stop the alerts, and remove all of your related data from the site. Hi Simon – great feature. Thank you! I wonder if you could help with something – it’s on topic. I’ve been looking for a navy bomber jacket for summer. Something like your Hermes blouson would be great. Did you come across any as part of your research? There is a profusion of suede ones (eg Valstar) and some great more casual ones at Private White (in a variety of materials) but nothing super-light. Obviously not on a par with the Hermes, but seemed pretty nice for the money. 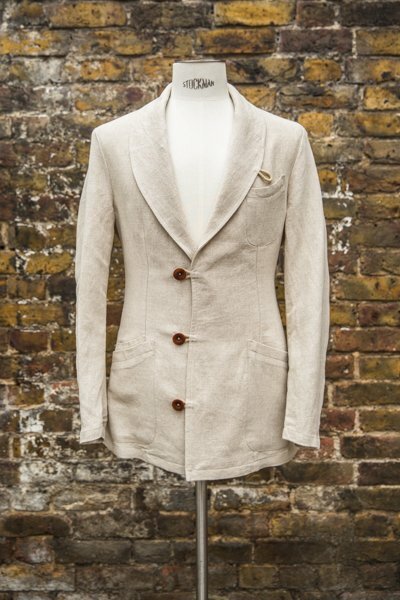 Stoffa do their flight jacket in a beautiful linen. Oo yes, good point. It’s now only half lined too. The list only really looks at RTW rather than made to order or measure. Hi Simon! Excellent and extremely useful feature! When it comes to shorts, do you think Olebar Brown and Incotex could also be a good option? Thanks. We tried Incotex and they were consistently too slim. But then they are only in the Slowear store here, and they only carry slim and skinny fits. 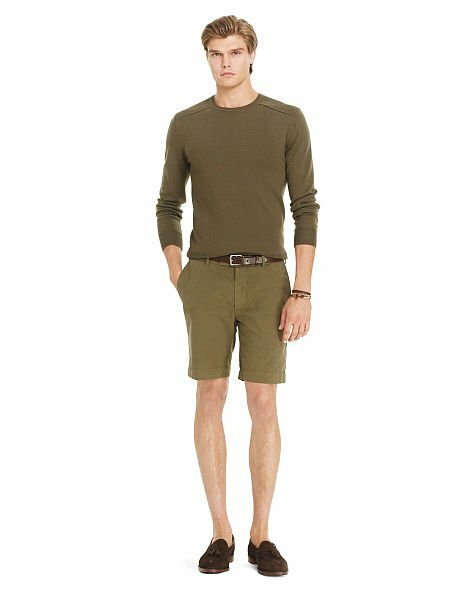 Orlebar Brown for shorts I’ve never liked that much. What don’t you like about OB shorts Simon? I assume you like their swim shorts? I’m a big fan of the Private White Harrington jacket. However, and I know I’ve commented on this before, I cannot understand their conservative wash & care advices (Wipe down only for a 100% cotton jacket). If it is not possible to wash, “long-lasting style” becomes irrelevant to me. Simon, would you ignore an advice like that and wash the jacket at home or would you dry-clean it? If it is a Ventile jacket, there may be an additional waterproofing treatment on the surface that wouldn’t do well with home washing. Do ask Andrew in the store, but I would go with their advice. Thanks, if I will get one I guess I will have to buy it online. I’ve always found Ventile to be an interesting fabric and, from my perspective, it looks like it gained in popularity during the last couple of years. Do you know if there is any production in the UK (according to Wikipedia, Stotz & Co AG should be the only producer but Wikipedia is not always accurate)? Rob, can you please let us know what they say. However when I checked the Ventile website they mention that dry cleaning and 30 degC washing is possible. I’m still confused! Rob, as mentioned above, there is a waterproof coating on top of the PWVC Ventile, which could be damaged. This is not on all Ventile, so wouldn’t be mentioned on the Ventile site. could you clarify what you meant about the Eidos Gurkha-style shorts? By saying they “come up very small” did you mean they are low rise or small for size? Have been thinking of ordering a pair. Interesting article but I can’t believe you missed A&S’s workman’s jacket – further training required ! That said, is there a UK stockist of the Armoury Field Jacket ? We did consider it; I’m afraid I preferred the other overshirts and field jackets. A very nice selection there. I hope you do many more. But why do you insist that there is no commercial connection? So many of the brands featured are your advertisers. You do yourself a disservice. I am a big fan of the Alden unlined suede shoes for summer, both derby and loafer. Both can be purchased at Drake’s or Trunk. Simon have you tried the A & S cotton travel jacket? It’s a heck of a price, but looks great on the website. It’s not Jon – they aren’t quite that set up for online retail. You’d have to pop into the shop, or phone them up if you’re not in London. I picked up Albam’s white panama shirt which I love and think would sit well alongside these pieces. Fantastic post Simon! I’m looking forward to this being a regular seasonal feature. Thanks as always. Simon, would love to see a similar piece for warmer (hot). I’m in Miami so jackets are rarely worn…even in the “winter”. I know what you mean Jason, but many of these things can be worn in pretty hot temperatures. 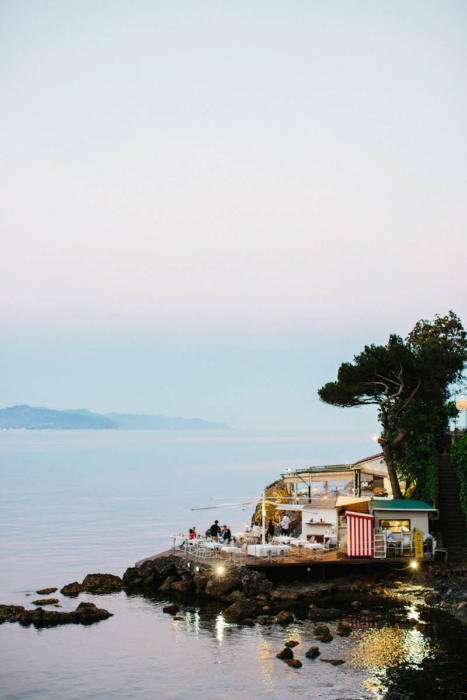 Linen overshirts and linen safari jackets will be worn by me and others in Florence next week (35 degrees, so fairly hot) and in Hong Kong (both hot and humid). Thank you for this list. How about summer shoes? Perhaps comfortable suede loafers? I’m looking for a pair that I can wear sockless. I’d recommend Baudoin & Lange most highly (though always with a hidden sock). Thank you for the list, Simon. Why do you prefer the overshirt without hip pockets? Wouldn’t it be more of utility as hip pockets are more practical (to store things) than chest pockets? Are there plans for an Autumn/Winter Top 10? I found this incredibly helpful and I’m wondering whether to put my shopping plans on hold. Thanks very much. Yes, sorry I’m planning two – one on knitwear and one on coats. Coming soon.